(1 p.m. BST) -- P&O Cruises will scrap auto-gratuities or "service charges" levelled on passengers -- currently £7 per person per day -- across the fleet from May next year. The line confirmed fares would not rise as a result nor would staff be paid less as a result of the move. Just a few months ago, the line announced it would raise auto-gratuities from £6 to £7 from March -- after raising them from £5 to £6 the year before. 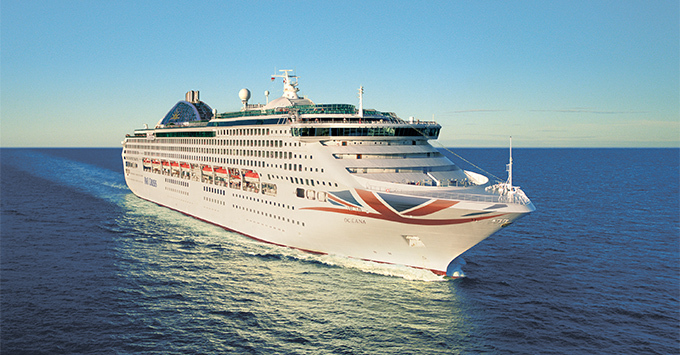 In an email sent to passengers, P&O Cruises stated: "From May 2019 (cruises A911, B912, E911/A, J903, N910, R907, X907 and all thereafter), the discretionary daily Service Charge on board will be removed so you can relax knowing it's all taken care of. Changes like this do take a little bit of time to put in place, and so for holidays which depart before May, a discretionary daily Service Charge amount of £7 will continue to be added for guests aged 12 and over." And in a separate Facebook post a P&O Cruises' spokesperson wrote: "We are not planning on increasing any of our fares. The discretionary daily Service Charge is no longer applicable. ‘Tipping’ staff is neither required nor expected but if you choose to do so then that's entirely your decision." P&O Cruises told Cruise Critic the move was not prompted by passenger feedback, nor any one specific event, just that it was a decision "to make life simpler for passengers". Tipping is a huge bugbear for passengers and prompts endless conversation on the Boards. Host Sharon immediately wrote: "Yay! No more tipping threads." Auto-gratuities are relatively low on UK lines compared to US lines -- you can expect to pay at least double the amount P&O Cruises charges on Royal Caribbean or Norwegian Cruise Line. Saga Cruises is all-inclusive; Marella Cruises went all-inclusive this year (including alcohol); Fred. Olsen Cruise Lines and Cruise & Maritime Voyages charge £5 per person per day.